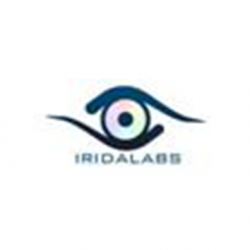 IRIDA Labs is a platform-independent leading technology provider of software and silicon intellectual property (IP) for embedded computer vision. Our product portfolio includes embedded vision software and silicon IP for high throughput applications such as video stabilization, face detection and recognition, low-light image enhancement, pedestrian detection and traffic sign recognition addressing consumer electronics, mobile devices and automotive markets. Founded in late 2007, the engineering team is based in Greece, with worldwide sales support. We are seeking a new key member of the technical team that will identify key computer vision algorithms and applications, and explore the most efficient and practical implementations of these algorithms in embedded platforms. We target mobile and embedded products markets. The Embedded Software Engineer will work independently or with a team to develop software for those algorithms, from low-level, highly optimized kernels, to full applications. You will have good technical skills and a broad range of experience to enable you to support the customer at all stages of a project, including: system design, hardware bring-up, software customization, porting, debugging and testing. You will have good communications skills and be able to represent the company in a professional manner at all times. There could be some travel with the role, potentially on an international basis and you must be prepared to travel away from home for up to ten days at a time, sometimes at short notice. You will need to have a flexible attitude, and be comfortable in the presence of customers and working in pressurized situations, with tight deadlines to project delivery. Must be an expert in DSP software development, performance evaluation and optimization using C/C++ and assembly code. Must have proven knowledge of image processing principles and algorithms. Must be intimately familiar with the principles of performance-oriented code execution on processors, including fixed point realization of complex algorithms, capabilities of compilers, demands of key imaging and other DSP kernels and the state of the art in DSP instruction set and memory system capabilities. Must have experience with imaging or computer vision software frameworks such as OpenCV is desired but not mandatory. Additional desired knowledge on technologies such as Embedded C, RTOS, Video codecs, Open Standards (CL, VX), will be appreciated. Architectural knowledge of CPUs and GPUs. Strong Mathematical abilities with experience in Computer Vision Algorithms. In intense startup company timetables. Be proactive and enthusiastic with technology.